Fish Fridays have arrived at Copperfish! Who doesn’t love Fish and Chips on a Friday evening? 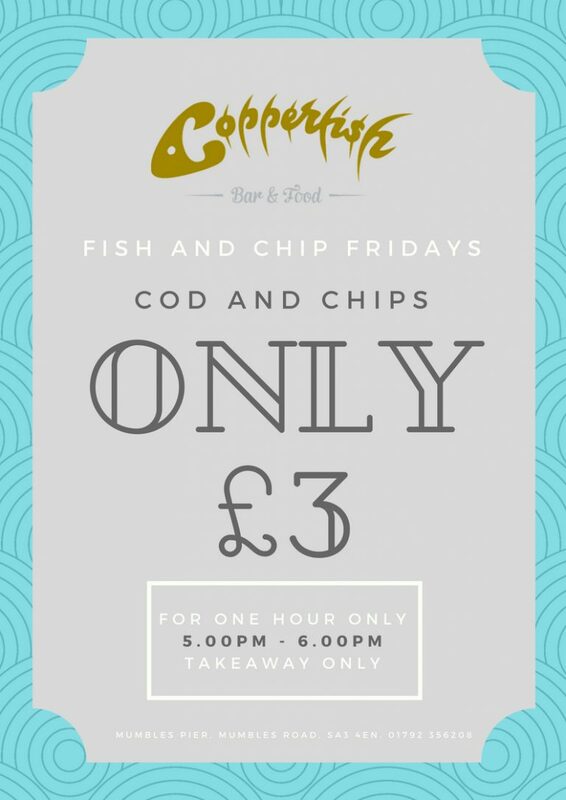 Now you can enjoy this delicious treat for only £3 at Copperfish at Mumbles Pier. Offer also includes our delicious Gluten Free Fish and Chips. 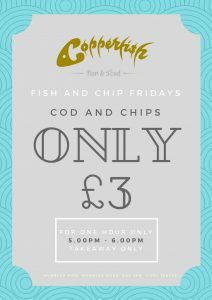 The offer is only available between 5pm & 6pm on a Friday evening (perfect time for tea time) and is only available in Copperfish Takeaway.